Vienna real estate is particularly sought after by Northern Virginia home buyers for a number of reasons, not the least of which is its great blend of small town and big city features. Vienna is a small, quiet community of only about five square miles, located about 17 miles from Washington, D.C. Vienna homes for sale comprise a mix of charming single family detached houses, townhomes, condos, and apartments. As a home buyer here, you’ll find a great combination of suburban properties, but also more rural ones as well. The community’s small town feel is warm and welcoming and its history gives the area a solid sense of tradition. View all closed Vienna Real Estate Sales from the Past Month! As far as tourism goes, Vienna has some. There are some hotels for those staying in the area on business, but most travelers that stop aren't making Vienna their final destination. Located on the outskirts of Washington DC and right off of Highway 66, Vienna offers some cheaper hotels for travelers. Still, the area remains mostly residential. Vienna is close to a number of cities that offer a variety of entertainment, including Washington DC. Arlington is also a short drive away and offers several shopping and dining opportunities. Many of the people who own Vienna real estate commute to these areas every day for work. Moorfield Park is also a quick drive from the neighborhood and provides a wide range of outdoor activities. Living in Vienna, you'll find many nearby opportunities for relaxation and recreation. The area is very quiet and tranquil. Some residents will travel to their community center to watch a game of basketball or enjoy other community activities. Because the area is mostly residential, you’ll find that many Vienna homes for sale are in near parks and bike paths. The area is pedestrian-friendly, with many people walking to their friends’ homes nearby. 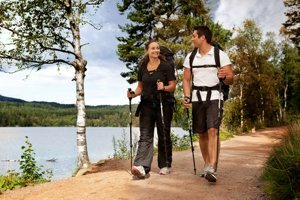 Hiking along some of the trails in the smaller state parks in summertime is also very popular. Other nearby attractions worth checking out are the Freeman Store and Museum, Reston Zoo, and Red Caboose Gallery. 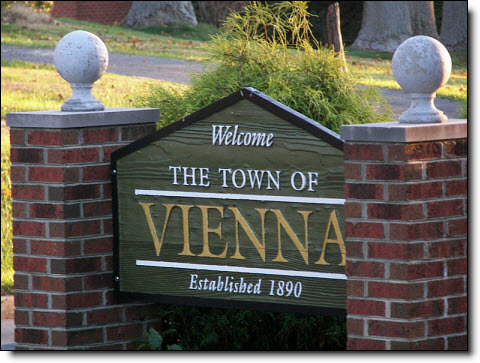 Vienna real estate is filled with a wide variety of neighborhoods, all of them worth looking at by potential home buyers. Shouse Village is a walkable community that has lots of sidewalks for safe walking along the roads, and a nice walking path through beautiful wooded lots. There is even a pond nestled in the woods. A swimming pool, community center, and tennis and basketball courts are other great features offered by the community. A walk through the neighborhood reveals stunning Vienna houses: for example, large red-brick Colonial style homes with spacious screened-in back porches; 2 story, 4 bedroom Ramblers with large grassy front yards and a ton of trees in the back; 2 story Split-foyer homes made of red bricks, white siding and red trim. The unique styles and designs of the Vienna real estate throughout the Shouse Village neighborhoods are vastly different, some small, some over-sized; size of homes, plus a prime location and amenities make these homes very popular among home buyers. The Tysons Corner area also has a wide assortment of single-family detached Vienna homes for sale. There are many large 4 bedroom, 3 bath red-bricks homes for sale on smaller lots. The mature trees in the backyards of this neighborhood provide tons of needed shade in the summer. On Valeview Drive, in the Valewood Manor neighborhood, there are gorgeous 4 bedroom, 4 bath Vienna homes on smaller lots that actually appear larger than they really are. Sweeping driveways and a lot of mature foliage in the front yards makes this community very walkable, beautiful and friendly. Lots of people can be found outside tending to their plants in the warm months of spring and summer. No matter the neighborhood, Vienna real estate offers a lot to please prospective buyers. Prices can be expensive: many homes cost well over a half million dollars, while many newer and recently renovated homes may sell for well over a million. Buyers should either drive around to see what is out there, or talk to a real estate agent who is familiar with the area. On the lower end of the price scale, in the $200,000s, you can find nice two bedroom, one bath condos on Park Terrace Ct. Charming 3 story brick buildings features ground floor patios and balconies on upper floors. In the same surrounding area, you can also find luxury condos with modern fixtures, appliances, and totally renovated units. The Westbriar Plaza Condominiums on Manhattan Place and Park Tower Drive have some great two and three bedroom units. Beautiful wood floors, large windows and a cozy balcony on upper floors are just a few neat features. Kitchens are bright and airy, and filled with an abundance of cabinet space. Built in 2004, this 4 story red-brick building has 2 story condos with elevators for residents' convenience. Residents also love the fireplaces in most units, and enjoy living in such spacious and bright homes. Most units come with 2 parking spaces in the underground garage. Prices vary with each unit, generally in the $500,000 range. On Glengyle Drive you can find a boxy looking building that is home to some really nice condominiums in the $300,000s range. Spacious rooms, bamboo floors in dining, living and bedrooms, gorgeous Corian counters and maple cabinets in kitchen, and a host of other terrific amenities make many of these condos highly desirable. The great neighborhood, close to shopping, restaurants, the Vienna metro and the W&OD bike trail, is the biggest reason people choose to live in this community. If high-rise Vienna real estate is your thing, you should check out the towering condominium on Gallows Road. Many units are one bedroom, one bath properties that are great for home buyers who don't need a ton of space. 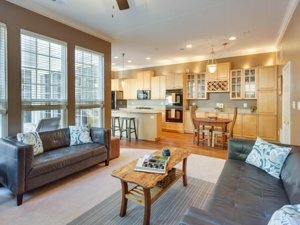 The proximity to the Dunn Loring Metro is one of the biggest draws to this condo. Minutes to most any type of restaurant, or entertainment venue, this multi-story building also features a roof top pool - great for relaxing on those warm summer nights. A drive through Vienna will showcase all the condominiums in the city. While the demand for homes grew, the amount of land in this small city didn't. The city and developers realized there was a definite need for more housing in the area. The 2000s saw a massive increase in the number of condos built. Although it is possible to find many older Vienna condos for sale under $500,000, most will cost at least that much, if not much, much more. Choice location will always cost more than those located farther from the center of town. Many Vienna townhouses are built out of red bricks. With such an abundance of brick buildings scattered all around Vienna, it is hard to tell which homes were built a hundred years ago, and which were built recently. One give-a-way that a structure has been around for a long time is the landscape. Many mature trees surrounding a property means it was probably built decades ago. Townhomes in the lowest price range will usually cost from the $300,000s to the $500,000s. Some of the cheapest properties are probably going to be fixer-uppers - great bargains if you don’t mind renovating. For those who aren't, there are many move-in ready units available throughout Vienna in this price range. You might get lucky and find a nice townhouse in the Country Creek subdivision. On Shawn Leigh Drive you can find homes that sell for less than $500,000, but some in the same complex may cost more. Again, it depends on upkeep and renovations on each unit. Many more Vienna townhouses are available in the $500,000 range. A quick search will bring up dozens of homes for sale in every price range. In the $700,000 range you can find beautiful Vienna VA townhomes on Wolftrap Court. This gorgeous community is located close to the metro station. Many homes feature carpet and wood floors, and lots of windows to let in the sunlight. Small decks give residents a place to enjoy the nice summer nights. Close to everything, this community is home to a lot of commuters. A bit more costly at $850,000, the condos on Vigne Ct have 4 bedrooms and 3.5 baths. Large windows fill many of these spacious townhome-style units with a lot of sunlight. Many units have kitchens that are a cook's dream with gourmet granite counters and center islands. Also located in the Reserve at Tyson Corners are towering 3 level townhomes with gorgeous hardwood floors on the main levels. Master suites feature large walk-in closets,corner bathtub and separate shower. A two car garage, fitness center, swimming pool and private bus service directly to the Dunn Loring Metro station make this townhome community highly desirable. If you’ve thought about purchasing a house for sale in Vienna VA, give me a call at 703-462-0700 so I can help you find the best deals. I’m an experienced Northern Virginia real estate agent who grew up in Falls Church City. Thinking of Selling your Vienna Real Estate? If you own Vienna real estate and are considering selling, contact me for a no-obligation market analysis of your property and recent sales in your area. This will help you decide if this is the right time for you to sell.